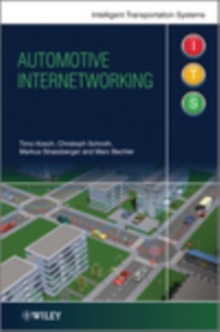 A complete introduction tocar-to-X communications networking Automotive Inter-networking will introduce a range of new network and system technologies for vehicle safety, entertainment and comfort systems currently being researched and developed. C2X networking is not only a matter of technology, but is also very closely related to policy-making about deployment. 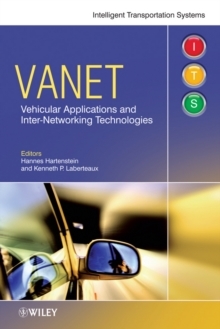 This book will provide the background on technical developments but will also discuss the potential benefits, costs and risks. Also discussed will be concepts related to application of vehicle-to-vehicle and vehicle-to-infrastructure communication technologies for various purposes such as automobile safety enhancement, vehicle user applications for comfort and convenience and efficiency along with other potential commercial applications. 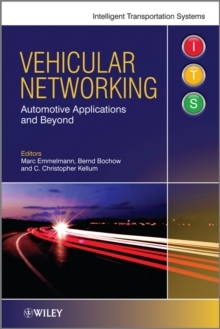 Application domains will build the starting point for an analysis of the requirements on suitable mobile network technology and the book will look at how well existing and new systems match these requirements.